All bedrooms are beautifully furnished and bed linen have been carefully selected amongst the traditional hand looms in the region up to the highest standards. Each bedroom has an en suite bathroom with everything you need for your stay (towels, hair dryer, toiletries, etc). Furthermore, some baby accessories such as a baby bath and a cot (bedding included) are available to the little ones. In the patio you'll find everything you need to enjoy "al fresco" dining from tables and chairs to a barbecue as well as loungers to relax in the garden. For more than 10 years we have been taking care of our guests from all over the world. We are proud to be part of their journey. Now we count with new members in our team that have been travelling around and that are taking their expertise on board in order to give our guests the best experience when staying with us. Mirador de Moncalvillo is the perfect place to relax and enjoy nature. Here you'll also find a wide variety of activities for those of you looking for something adventurous. We are located in the heart of La Rioja, only 17 Km away from Logroño, right in one of the most impressive wine regions in Spain. Mirador de Moncalvillo will be the ideal starting point for all your day trips and routes in order to get to know the area and enjoy everything there is to discover. Central heating with independent thermostats in each bedroom. Tumble dryer available upon request. Open plan living area with several sofas and reading areas. Deckchairs and other garden furniture are available to our guests. Several tables and chairs are available to our guests to enjoy the outdoor areas. Enjoy different walks and trails through the forest at your doorstep or venture out one of the closest nature reserves in the area such as Sierra Cebollera. As a special treat for our guests, we will invite you to one of the wineries (please advice us if interested to discuss different options). If you are into golfing, there are a few courses around, the closest one is only 4 Km away. We can help you find a private taxi hire for up to 8 passengers in order to help you get anywhere easier. 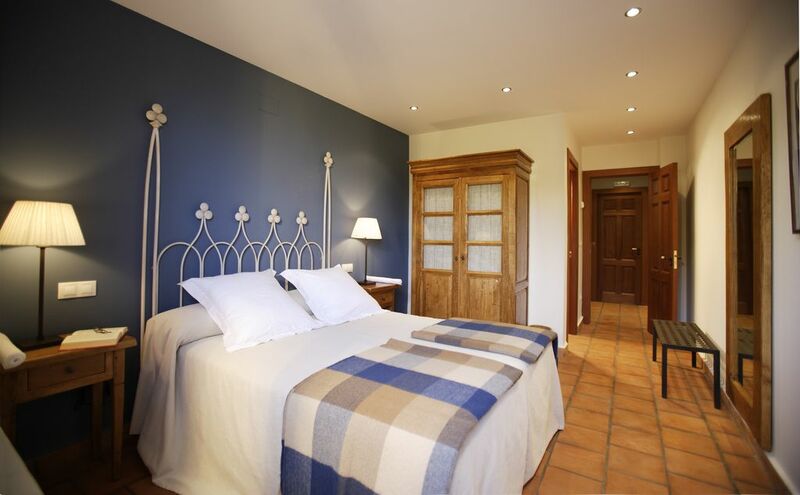 If you are a history lover you'd like to hear that we surrounded by historical sites such as the monasteries of San Millán and Valvanera, or the towns of Najera and Santo Domingo de la Calzada, both of them important stops in the pilgrimage along the Way of Saint James (Camino de Santiago). In the Moncalvillo mountains, where the house is located, you will be able to experience from mushroom picking to hot air ballooning, or just one of the adventure parks in the area.